The Alligator® Staple fastener system features pre-inserted staples and one piece strip design for quick and easy splicing. Ideal for a variety of light and medium-duty applications, these fasteners are constructed from abrasion resistant galvanized steel for long life. 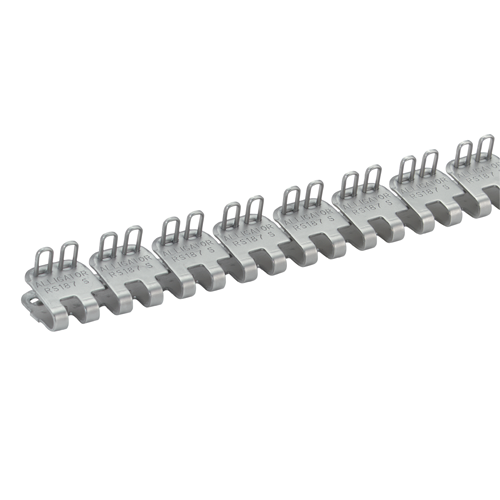 Fasteners are used with belts between 1/8" to 3/16" thick and include nylon coated hinge pins.